We’re just about to kick of thee best month of the year: MAY. Yes, I’m a little biased. I love May. It’s not only the month I was born, but it’s also the month to celebrate the wonderful woman who shaped me into the woman I am today! It’s a very special month. 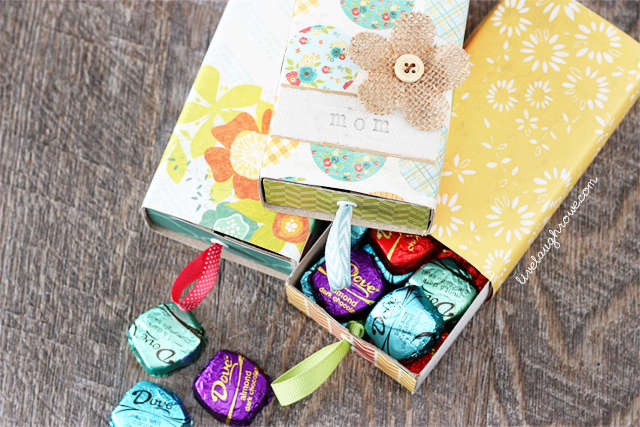 Since we’ll be celebrating moms, how about a super fun and easy way for you to show your mom just how sweet she is — with chocolate? 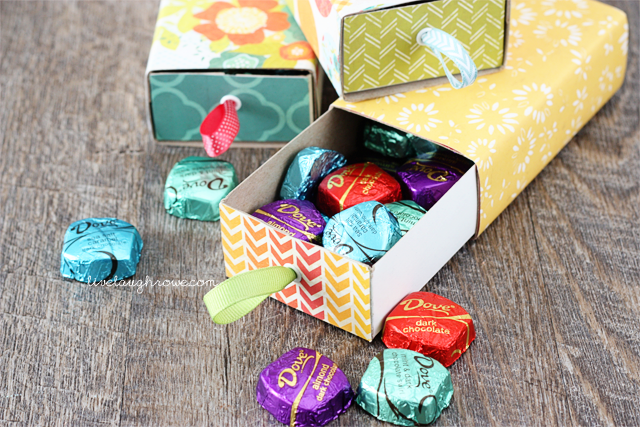 Rather than going with all store bought goodies, how about these DIY Box of Chocolates? Let’s take a look at how quickly this can be pulled together! You’re going to measure the width of your box and cut your scrapbook paper. 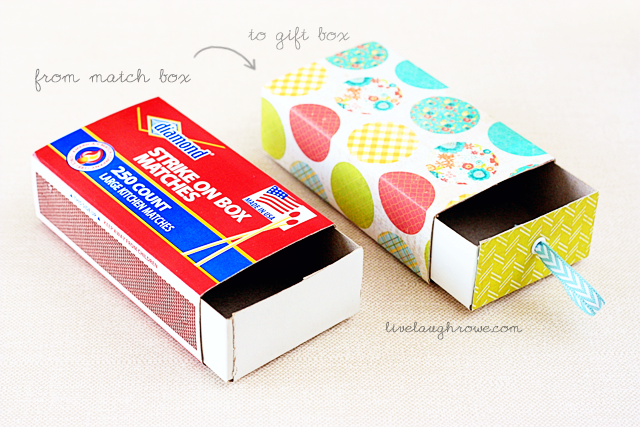 Adhere to match box with glue runner, glue stick or your choice of crafting glue. Trace and cute two pieces of scrapbook paper or either end of the matchbox. 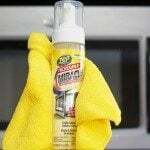 Attach as you did in step one. Using the eyelet setter, place your eyelet in one side — centered. Cut a piece of ribbon, fold in half and knot. Pull the folded end through the eyelet, as the knot will serve as the stopper. Technically you’re done! 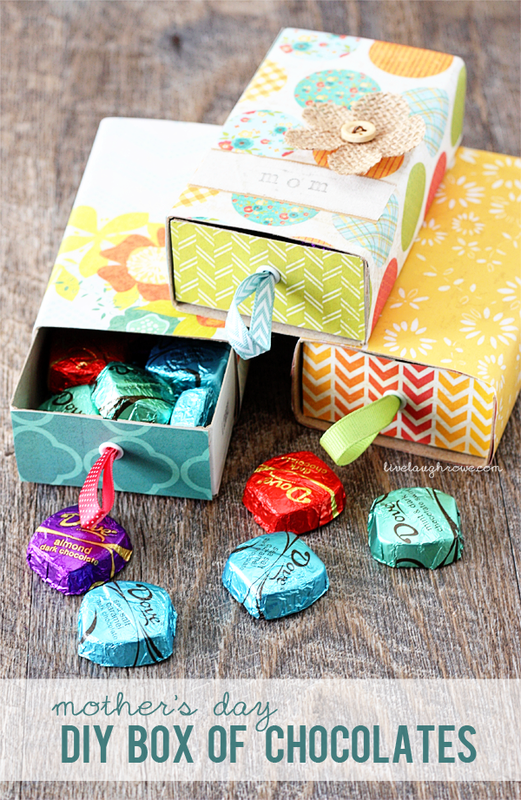 However, you’ll want to decorate this box of cuteness for the special occasion — Mother’s Day. Whatever those embellishments may be, add your personal touch. 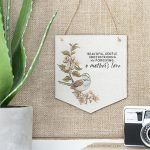 I stamped ‘mom’ onto linen fabric tape and attached it to a piece of kraft paper before adhering to the box. Glue on a burlap flower for the final touch. Adorable! Finally, and most importantly, is what goes inside that box. Oh, you know, like Dove Chocolates! Boom. Used an assorted mix of the Dark Chocolate, Almond, Mint, and Sea Salt Caramel. They’re all mouthwatering; however, that Almond was to die for. 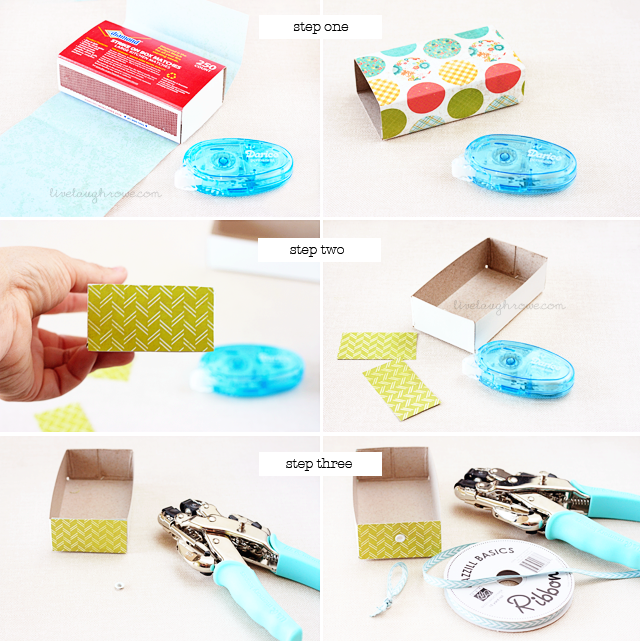 Another thing to keep in mind is how versatile these boxes can be! Birthdays, Just Because, Valentine’s Day and more! Oh the possibilities. 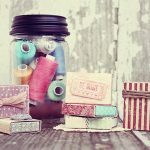 Happy crafting, sweet friends! This is an AMAZING idea! I am a huge fan of Dove chocolate so I would love this! How cute are these! And I love Dove chocolate! 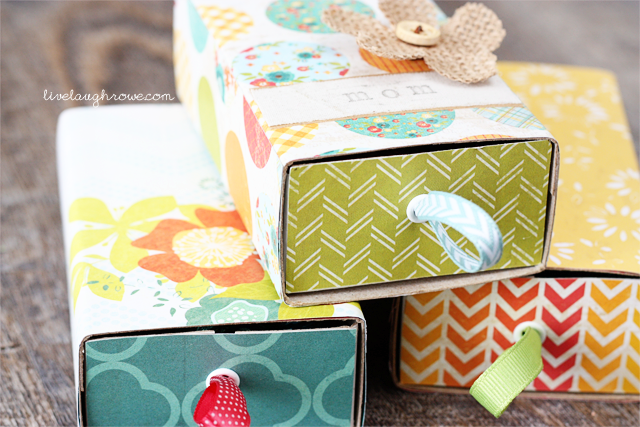 Cute idea, and I LOVE those little boxes! Wonderful project, gives me ideas of what to do with so many match boxes we throw away. I know what a waste, shame on us. Adorable project Kelly, Happy Birthday. My youngest son’s b/d is tomorrow, he’ll be 50.. Can’t even call him as he’s working in Singapore. He’s there more than he’s home anymore. Wish I could talk to him and see him. His oldest has her b/d on 15th. so yes it’s a great month. Hope you have wonderful time on your cruise. You always make the cutest things! Love this! Thanks so much Tessa! 🙂 Enjoy the rest of your weekend. xo. those boxes are ADORABLE. love it! Aw, thanks so much! 🙂 I love gifting things in creative ways and this little box is just perfect for that. xo. Such a cute gift idea! It was great seeing you at Snap! this year. Glad we got to connect! Thanks Shannah! It was great to see you too! It’s always fun connecting with fellow bloggers. 🙂 HUGS! I love the up-cycling with the match boxes! 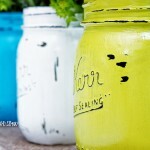 I’ve posted your idea on my blog, thank you so much for sharing! Thanks so much for loving on my project, Amber — and sharing with your readers! I trust you’re having a lovely weekend. HUGS! Can you please let me know what brand the Eyelet Setter is? Thanks!